The models are packed with customised details highlighting the partnership between two world famous brands and showcasing UK engineering excellence, precision and innovation. The first nine models in the collection are available to purchase and each will be handed to their new owners at a personalised and exclusive event that will include a look behind the scenes of both Aston Martin and the world famous Acrobatic Team. To download the brochure click here. 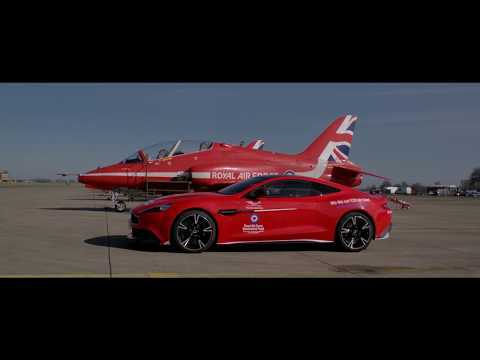 Aston Martin Cambridge is donating one of the models, ‘Red 10’, to the RAF Benevolent Fund who will raffle it off with all funds going directly to the worthy charity. It is hoped this will raise £2.5 million for a cause that provides much needed support for serving and former RAF personnel. The raffle to win Red10 has now closed. To find out more, click here. The ten Vanquish S Red Arrows models echo the look and performance of the aircraft marque. The car has been created in a special, Éclat red pearlescent colour to match the Hawk aircraft flown by the Royal Air Force Aerobatic Team. 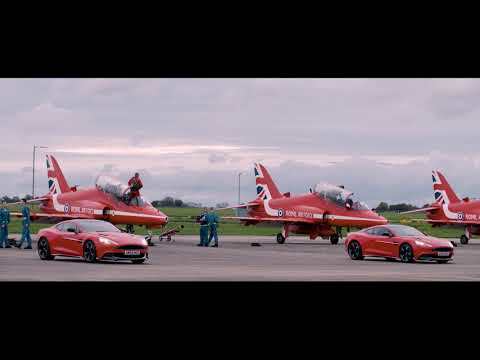 Each car is uniquely paired with a Red Arrows jet, including the matching military serial numbers throughout the car. 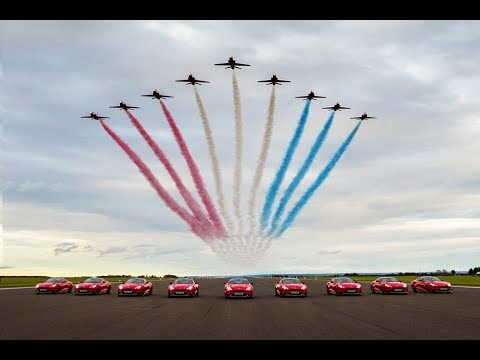 All 10 Aston Martin Vanquish S Red Arrows cars will be handed over at a special ceremony at RAF Scampton, home of the Red Arrows. With welcome speeches from senior leadership in the RAF, Aston Martin Lagonda and the RAF Benevolent Fund, owners and their guests will have exclusive access to this historic location. They will get to see their car on the runway alongside the famous Hawks and take part in activities including a flight in a Tiger Moth and flying with The Blades acrobatic team. For further information about the Vanquish S Red Arrows, get in touch with the Aston Martin Cambridge.